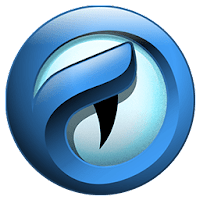 Comodo IceDragon is a versatile Firefox-based web browser that intended to be faster and more secure version over its core build. It's fully compatible with Firefox plug-ins and has unique features and tweaks such as Comodo's SecureDNS service, which provides you with faster page loading speeds, SiteInspector’s link/malware scanning, and social media integration. Disclaimer: Direct downloads for the lastest version of Comodo IceDragon 52.0.0.4 are provided by the official software's author, we can't guarantee safety, availability or download speed. Moreover, we don't and we won't provide any pirated/illegal versions or tools. We recommend you to avoid it as these methods can harm your device. If you like the software, buy it to support the developers. (We provide software discounts for many worldwide brands).